Thank you for this, it is absolutely wonderful. I will be making as our family gathers for Thanksgiving week. I plan to make for brunch with an oven egg omelet. I prepared everything the evening before, used a lemon juice bath for the apples so they didn’t brown, then placed the stoneware insert in the electric portion in the morning. So easy…what a delicious dry run we enjoyed today. I made this recipe last week. It was very good. Mine turned out a bit watery but I think it’s because I didn’t use tart apples and they had more water in them than a tart apple would have had. 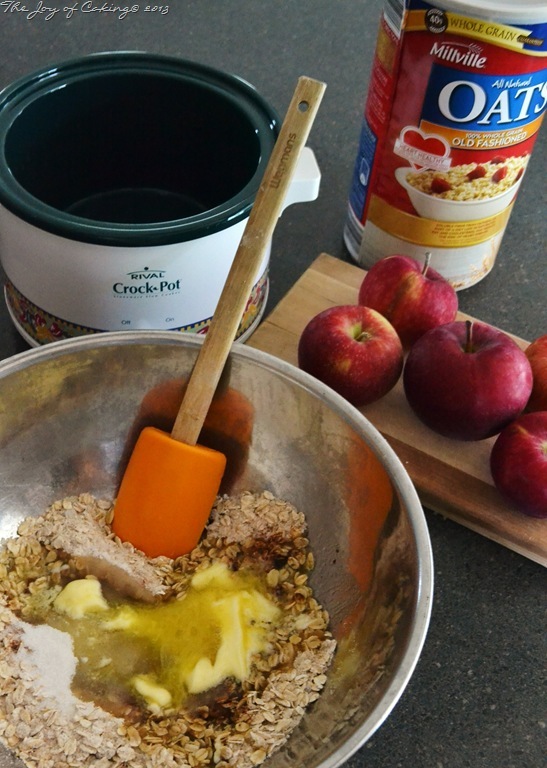 In any case, I didn’t make any changes to the recipe (other than the apples) and it disappeared quickly. Good flavor and really simple to make. Thanks! I’m so glad to hear you made this dessert Cynthia. I do suppose that the type of apple you use could change the consistency some. I know some apples are much more juicier than others. Good thing to keep in mind for the future. Thanks so much for letting me know you tried this and your conclusion! Have a great weekend! Yum! Yum! Yum! I want to make this when I have family coming to spend the night soon. Sounds wonderful. I sooo love oatmeal in my crisps too. Thanks so much for sharing at Weekend Potluck! Thanks for having me Marsha! 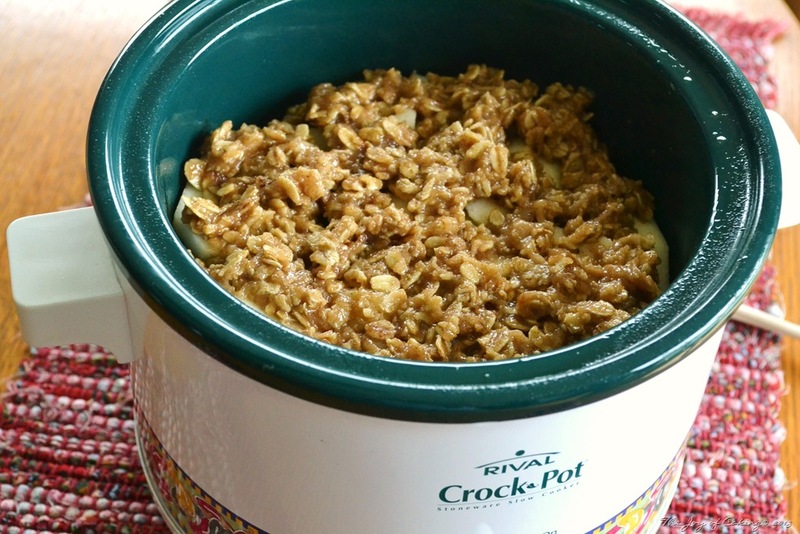 I’ve been looking for a crockpot dessert! Love this idea!!! SO yummy. I really need to use my crockpot more. Yum! I want to be friends with my crock pot this fall! Your recipe is on my to do list. 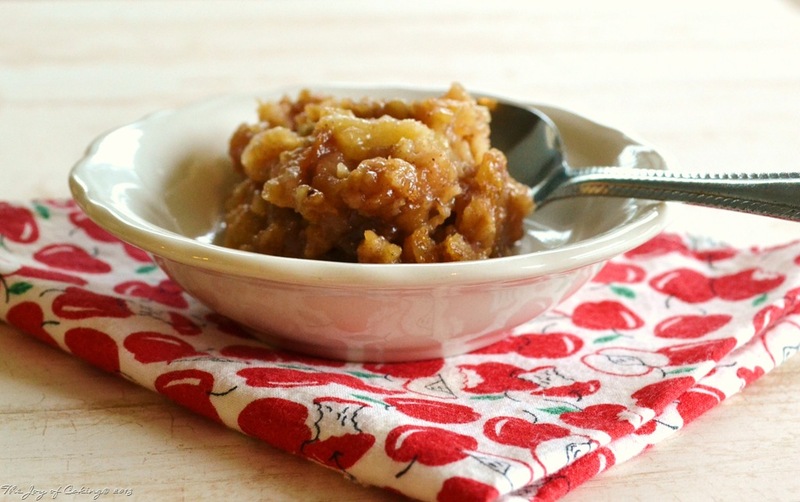 I’ve never made dessert in a crock pot before but apples are my absolute favorite. Raw, cooked, baked or whatever! Hi Dionne! I’ve never used my crockpot for dessert either. It was a first, and definitely not a last! Hope you’re doing well? 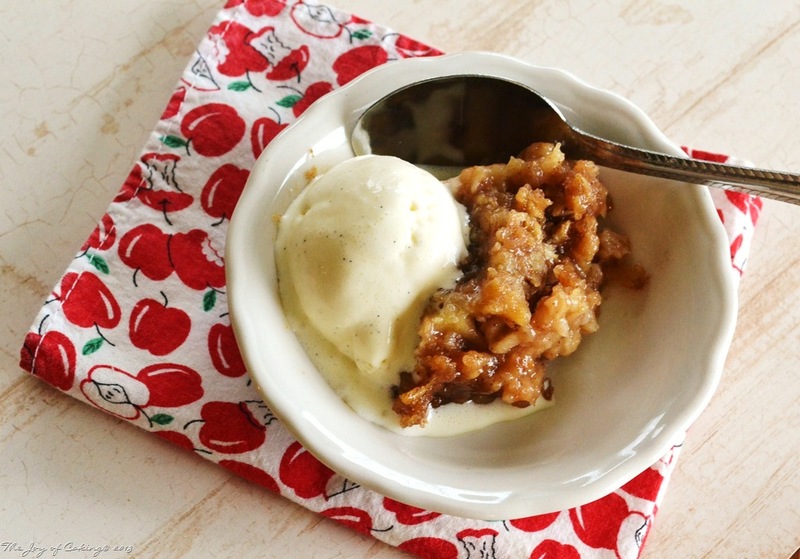 I love apple crisp and I love crockpot desserts so this is perfect! This will be my Saturday reward for having to clean the house. Must get good, rich vanilla ice cream too. 🙂 Thank you! This is a perfect reward for house cleaning Denise. And to smell it cooking while your cleaning is just an added bonus – lol! That looks really good! I will pull the crock pot out to try this. Thanks for sharing. No Amy, you’re not weird. I think I prefer that too. too. Don’t get me wrong, I like chocolate but there is something special about a nice “crisp”. Our’s is all gone 😦 Let me know how it turns out for you! Eileen, this looks like a big bowl of fall comfort food. I’m ready! That’s exactly what is is Jeanne 🙂 Funny how we all need a little comfort food every once in awhile!